According to its website, SailQuest is "a unique boutique boat show that focuses on buying and selling sail, trawler, and down east style boats." This year, SailQuest lands at Mystic Shipyard, which gives the show an opportunity to offer free admission and plenty of convenient free parking, so that visitors can easily navigate dozens of boat brokers and accessory vendors, with boats both in the water and on land. Come to the show to see Nordic Tugs, award-winning sailboats, and more - even a few fishing boats and Standup Paddleboards will be on display. 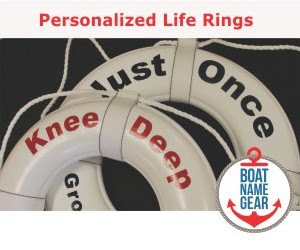 Come to shop for unique nautical items such as personalized boating gear, cannons, and more - maybe you can even do some Mother's Day and Father's Day shopping. You can even learn about both adult and junior summer sailing programs along the CT shoreline from multiple vendors at the show this year. For more information about the show, visit www.sailquestboatshow.com. There are no words to describe the horror of the ferry tragedy in South Korea this week. In the disaster's aftermath, there will be lessons to be learned by captains and boaters everywhere that will hopefully prevent the future loss of life. Scanning the multiple headlines this morning, there are reports that only one of nearly fifty life rafts was deployed; announcements were made warning passengers to stay put instead of abandoning ship; students on board were trapped behind windows that could not be opened. As of this writing, the most recent insights into the ongoing rescue mission can be found on the BBC and CNN, and Reuters. For the past two dozen years around this time, the Boat Owners Association of The United States (BoatUS) has released their annual list of top ten boat names, and we usually pay attention to see if any boat names jump out at us. 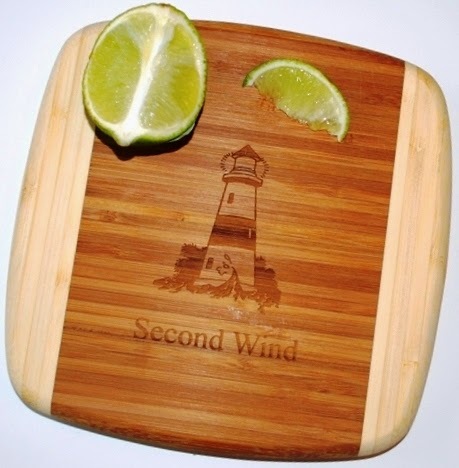 Photo of the bamboo cutting board with the 2nd most popular boat name of the year was provided courtesy of BoatNameGear.com. The 5th annual Great Northeast Boat Show is not only being hailed as the largest boat show ever held in the state of New Hampshire, but it is also expected to be the largest boat show in all of New England this spring. Come see it for yourself this weekend, from Friday April 4 through Sunday April 6, 2014, inside the 94,000 square foot Hampshire Dome in Milford, NH. 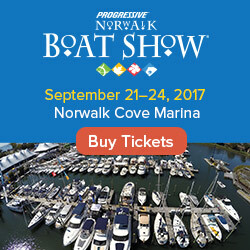 The show covers more than a football field with 25 boat dealers from across New England, with more than 150 Boats on display, as well as dozens of boating lifestyle exhibitors offering products and services ranging from boat insurance to floating docks to personalized boating gifts and gear. Admission is $9, but there are plenty of ways to save. If you’re 65 or older, it’s only $8, and kids under 12 are free if they are with an adult. And if you “like” the boat show’s facebook page, you can get a weekend pass for just $7. Angler photo contest winners. Photo courtesy of BoatU.S. Angler. Remember to take your camera with you when you go fishing this year. This week marked the start of the annual BoatUS Angler "Catch of the Month" photo contest, which runs monthly through October, 2014. Monthly winners will receive a one-year basic BoatUS Angler membership which includes $50 on the road and $50 on the water towing, a $50 Visa gift card and a “prize pack” filled with fishing and BoatUS Angler gear. In addition, winning photos will appear in BoatUS Angler Magazine and Tacklebox fishing e-newsletter. Monthly winners will be automatically entered to win the grand prize in November: an upgrade of their BoatUS Angler membership to include Unlimited on water towing and on road towing assistance from Trailer Assist, a high-quality fish replica of their winning catch from FishReplicas.com and a $50 gift certificate from BoatNameGear. To enter, submit shots of your catch at BoatUS.com/angler/contest between now and October 31, 2014.